God is a Treasure Seeker who pursues a relationship with us, His lost treasure. We, the searchers, are looking for the one priceless thing that makes life meaningful. Once we discover and enter this relationship, God assumes the role of Master Jeweler who lovingly shapes, refines, polishes, and incorporates our flaws, transforming us into the beautiful jewels we are meant to be. The Treasure Seeker speaks especially to women, helping them feel valued while incorporating scripture for life application. Unique accompaniments include the “lost” parables: lost sheep, lost coin, prodigal son, pearl of great price, and lost treasure in the field. 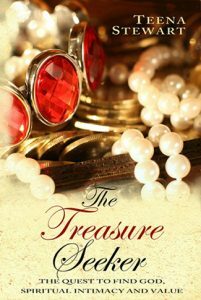 The Treasure Seeker is enriched with folklore of lost treasure tales, treasure and gemstone trivia clips, and points to ponder at the end of each chapter. Women have the opportunity to identify their gemstone makeup including their flaws. Ideal for women longing to deepen their relationship with Christ, and for spiritual seekers trying to grasp the message of the cross. Excellent for independent readership or small group study. Revised edition 2018. If you are a dog lover, this book is for you! Anyone that has a dog in their life knows they are all the better for it. 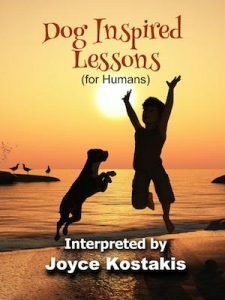 Grab this insightful free book of dog-inspired lessons for humans and learn how easy it is to mirror your dog’s ability to let go, love unconditionally and live in the moment. In our busy, work-filled lives, it’s easy to forget the simple things: love, loyalty, forgiveness, kindness, and faith. Some people will spend years searching for these vital elements, but author and animal-lover Joyce Kostakis found them a little closer to home: in her beloved dogs, Cooper and Max. The E-book may be free, but the lessons are invaluable. Cooper and Max’s stories will melt your heart and change the way you see the world. Their loyalty, trust, and ability to live in the moment will inspire you to let go, enjoy life, be present and cherish every moment. This quick read will leave a long-lasting smile. Dog Inspired Lessons for humans provides big life lessons with heart-warming photos that show us dogs aren’t just man’s best friend—they can be man’s (and woman’s!) best teacher too. Cooper’s ability to leave an abusive past behind and trust again will inspire you. Max’s pure joy and capacity to live in the moment will bring out your inner child. Before you know it, you will find yourself recognizing these small blessings within your fur family, and your life will never be the same. I have no doubt that each pet that shared their lives with me was God-guided into my life. It is perfect that dog is God spelled backward, it gives a dual meaning when I share the dog guided inspirational tales (tails) that taught me profound lessons in love, living in the moment, gratitude, and the power of forgiving and letting go. I made a decision to apply the lessons learned while watching Cooper and Max interact on a day to day basis. The result was positive. I feel emulating them as taught me how to be a better person. It has taught me to be a better friend, coworker, sister, wife, and a pet owner. I decided to write this book to share my insights as well as provide a few photos to give you a smile in the process. Have you ever wondered if you are a Christian? Is there an easy way to find out? NINE! 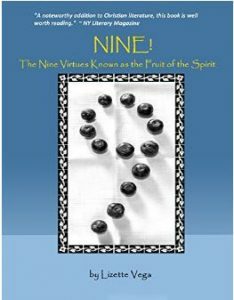 is an everyday look at the fundamental principles that encompass the nine virtues known as the Fruit of the Spirit. Each article will provide Scripture and inspiration to help you understand the topic and aid in examining your spiritual life. I began a study on the Fruit of the Spirit when I started my blog, A Tree Firmly Planted on WordPress. I used the nine Christian characteristics to solidify the purpose of my blog, while encouraging my readers to think differently about the each trait. Here it is!!! 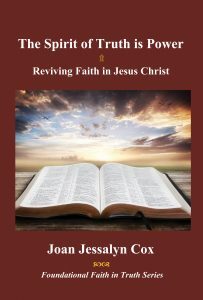 A handbook on victorious Christ-centered living that cuts through all of the religious clutter and lays out in detail, step by step what you need to do to live a successful, vibrant, passionate and exciting life as a believer for the Lord Jesus Christ. You will learn: How you can be sure that you are born again; How to grow in your relationship with Christ; Why the renewing of the mind is so important and how to change the way you think; How to meditate in God’s Word (this will excite you); How to bring your body under subjection and present it to the Lord as a living sacrifice; How to experience real transformation from within; What is the mighty baptism with the Holy Spirit & why it is so important; How to know when God is speaking by His Spirit to your heart; How to grow and develop in the fruit of the Spirit; How to forgive those who may have wronged you and why; How to live in the Presence of God daily….. and so much more. If you desire to grow spiritually, knowing God intimately and walking closer daily with Him, then get your copy of this life-changing teaching today. I wrote this book at the request of another minister who asked that I write concerning how to live victoriously in the Lord Jesus Christ. We were seeing so many believers falling to the lusts of the flesh and the wiles of the devil that she thought it good for me to share some of what I had learned by the Word of God and by experience about living for Christ, and how to over-come when tempted. Special emphasis was to be placed upon steps to growing in Christ Jesus from the baby stage to spiritual maturity. While I do not even attempt to suggest that I know all and have arrived, (for none of us are there yet. We are all still learning), it has been on my heart for a while to share some of what I have learned about the awesome power of abiding daily in God's Word, Bible Meditation, how to deal with the flesh, what it means to walk in the Spirit, living the Spirit-filled life, how to get back up if you fall, and developing intimacy with the Lord. This book was written to help believers grow!!! 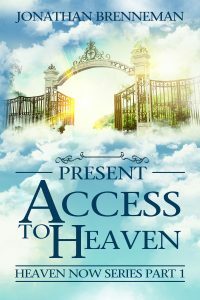 Kindle countdown deal for “Present Access To Heaven. The price starts at 99 cents on February 15th and increases until returning to full price February 19th. The gospel is designed to bring us into a present experience of heaven. If we are not experiencing heaven now, we should consider how we may have become resistant to gospel truths. “Present Access To Heaven” helps us to do just that, dealing with every lie and hindrance that is keeping us from experiencing heaven now and walking as heavenly people. It makes a scriptural case for just how much is possible right now in Christ, but it’s not just theory. It’s full of true stories illustrating the truths presented. Ebook Now discounted to .99 Cents! The Spirit of Truth is Power, shows you the complete unmerited favor of God’s love as expressed in it’s fullness of Grace. You will see how true love is always mutual. You will see Jesus Christ as your “compassionate companion” who always loves and supports you through everything you confront in life. The more you know someone the more you love them, the better you know them the more you want know about them, and so love grows within your heart. It’s our objective to help you know the true God in his fullness better, to trust him more, and serve him as if your life depended upon your accurate understanding of whom you serve. When you know him better, you can improve your Christian conduct, and gain the courage of full faith in Jesus Christ.